This comprehensive book covers a variety of the most-encountered special needs, along with approaches for meeting those needs. 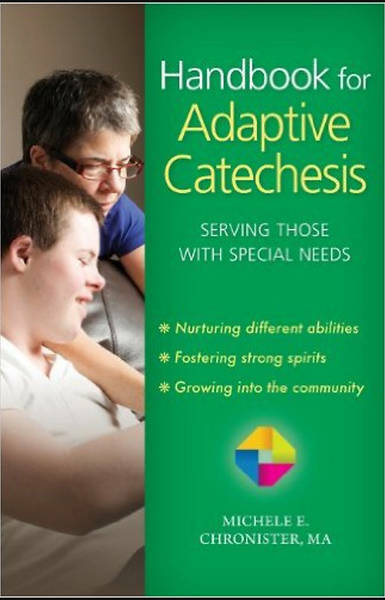 The author discusses strategies for having fruitful dialogues with parents, identifying students for your special needs program, recruiting effective catechists or teachers, and developing lesson plans. Throughout, the text and examples are straight-forward, practical, and easily understood, specifically by catechists who may not have the formal theological training required to fully use other resources available on the market. It can even be used by catechists in traditional classrooms as a resource of creative teaching techniques for students who have ADD/ ADHD or mild learning disabilities. Catechists today are challenged to be mindful of advances in education on the subject of those with disabilities. These students are beloved by Christ and members of the Church. Thus, all the faithful ought to strive to work for their benefit and be open to the giftedness they bring to our faith communities.